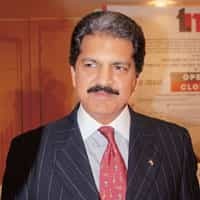 Unique focus:Mahindra and Mahindra Ltd’s managing director Anand Mahindra. Mumbai: People got to know of the Mahindra group’s entry into the business of retail from the newspapers, which is only to be expected, but from recruitment ads placed by the group in them and not news stories. The low-intensity entry of the diversified group—it is in businesses such as tractors, utility vehicles, auto components, software, resorts, and realty—into retail is also unique because of another factor: Mahindra plans to focus on lifestyle products. The Mahindra group is the fourth large Indian business group to enter the business of retail—after Reliance Industries Ltd, the Aditya Birla Group, and Bharti Enterprises Ltd. The other three groups are focusing either on perishables and groceries, or a range of products, or both. Mahindra’s entry into retail will likely not attract the kind of opposition the other companies have because of the kind of products it wishes to sell: toys, apparel, and other such products. “This is an interesting and intelligent idea to do speciality stores," said Arvind Singhal, chairman of Technopak, a New Delhi-based management consulting company. “While the focus in Indian retail has been on selling basic discount products, there is a good opportunity to build a business around speciality stores." Many of the other companies entering the business of organized or formal retail, and especially Reliance Retail, an arm of Reliance Industries have been the focus of protests by small store owners, political parties, and activists who claim that big retail will spell the death knell for small stores. The Union government has asked a New Delhi based think tank to conduct a detailed study on this. Meanwhile, several state governments have barred companies such as Reliance from opening stores, or prevented them from selling some kinds of products. Mahindra & Mahindra Ltd (M&M), which makes tractors and utility vehicles, had a subsidiary called Mahindra Shubh Labh Services Ltd, which had retail outlets that sold “agri inputs products couple of years back", according to Gautam Nagwekar, chief operating officer, Farm Equipment Sector, Mahindra & Mahindra. “But it came out of that business as the model did not survive, " he added. Nagwekar said this company was now in the contract farming business. Mahindra Intertrade Ltd, the arm of the Mahindra group that plans to enter the business of retailing, trades in metals and engineering products; it also markets and distributes consumer products such as kids’ apparel and toys of international brands. “We have been dealing with brands (such as) Lego, Nickelodeon, Mattel through distribution of kids’ apparel," said Raghunath Murti, executive vice-chairman, Mahindra Intertrade. “Now we want to extend this to direct retailing." According to a report by Mumbai-based brokerage Man Financial Ltd, about 3% of India’s $300 billion worth retail industry is in the organized segment. This segment is growing at the rate of 40% a year. Groups such as Reliance and Mahindra are looking to tap this growth opportunity. Currently, the only national chain in the children’s apparel, toys and accessories segment is Mother Care, a tie-up between a British retailer and Shoppers’ Stop Ltd.
Mahindra Intertrade appointed K. Venkatraman as the chief executive officer to head its retail business around three months ago. Venkatraman could not be reached at his office. The company has now initiated the process of recruitment for other employees of the lifestyle retail business. Murti refused to share details of the investment the Mahindra group has lined up for the new venture. “It is quite early days. The plan is still being fleshed out," said Murti. “We will let you know later."